One more accomplishment I’m proud of is chest dips. 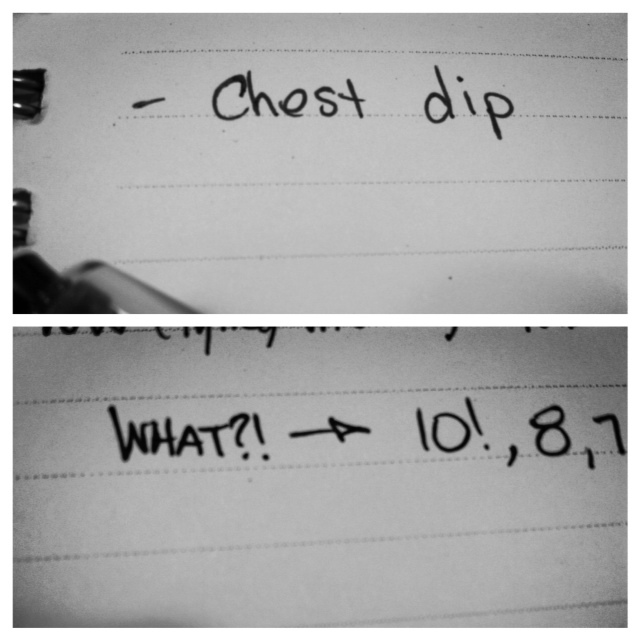 When I started my 100 day challenge back in January, I was barely able to perform one quality chest dip. Since all the workouts in my current program involve 4 sets of each exercise, I have worked HARD to build up my performance with these. I was happy with the progress I was making… had built up to 4 sets with 5, 4, 4, 3 reps consecutively. Then today, something was different. I don’t totally know what happened, but chest dips and I became best friends for a moment. 🙂 It was the weirdest thing… I felt like I weighed nothing for a moment or two! Very strange, but I’ll take it! The last two weeks (ish) I’ve not felt my usual strength through my workouts. My mind was telling my arms/legs to LIFT, but they were not so willing to oblige. I just figured I was over training and needed a bit of a break. While this may have been the case, I also decided to switch back from banana pancake breakfasts to my old routine of 1/2 a baked sweet potato mixed with a dash of cinnamon and a scoop of protein powder. I figured that adding a little extra carbs back into my life might be just what I needed to get things back in gear. After two days of incredible workouts, I’m getting the feeling I may have been right! 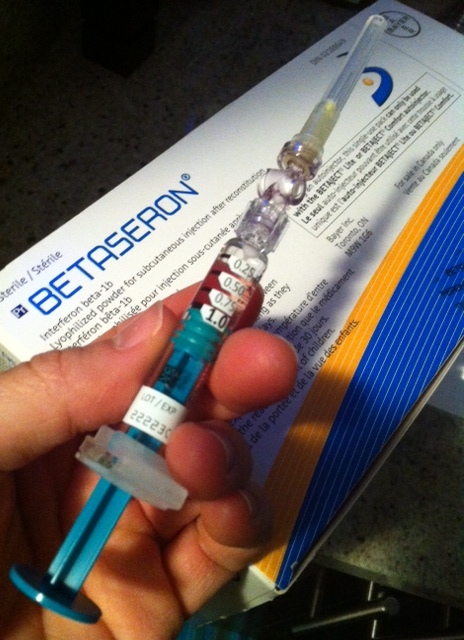 Just a note… So, I often throw the “Multiple Sclerosis” tag on my posts, but never talk about it. The whole thought process there is: I write about LIFE and how I choose to live mine. I have MS, but I still do my best to live the life I want to live. Being diagnosed with anything WILL change a person’s life, but it’s up to the individual which path they choose to take. The whole experience certainly opened my eyes to the importance of appreciating the people and things I do have and can do.